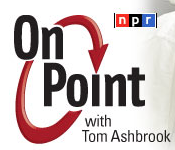 Reach: NPR’s On Point is carried by 290 stations nationwide, with a weekly audience of 1.76 million. Each month, more than 320,000 visitors stop by this website and more than 2 million shows are downloaded from its iTunes podcast. WBUR-FM is Boston's NPR news station. The Mayo Clinic Care Network recently announced that Singapore-based Raffles Medical Group will join the network. This marks the third international member, and the first Asian member to join. The purpose of the network is to create a 'domestic and international footprint', said Dr. David Hayes, the network's medical director. "It gives Mayo the ability to know the other organization really well over the years; it extends Mayo's brand, hopefully; and it helps to create a complex care provider." Context: Mayo Clinic and Raffles Medical Group announced today that Singapore-based Raffles has joined the Mayo Clinic Care Network, a growing network of organizations committed to better serving patients and their families through collaboration. Raffles Medical Group, the largest private group practice in Singapore, is the first health care organization in Asia to join the network. The formal agreement gives Raffles Medical Group access to the latest Mayo Clinic knowledge and promotes physician collaboration that complements local expertise. Through shared resources, more patients can get answers to complex medical questions while staying close to home. More information can be found on Mayo Clinic News Network. The first Mayo Clinic patient to receive proton beam therapy in Minnesota finished her treatments Monday morning. Twenty-three-year-old Jessica Brenholt was the first person to receive the treatments for her brain tumor at Mayo's new Proton Center. Patients nationwide will be encouraged to seek treatment at “centers of excellence.” UnitedHealth Group is expanding a program with Mayo Clinic that encourages patients across the country to travel to the Rochester-based health system for certain specialized procedures…“Our feeling is that the major cost savings, and the major benefit to the patient, is having an experienced team that arrives at the right diagnosis,” said Dr. Charles Rosen, the medical director for contracting and payer relations at Mayo Clinic. Context: Optum and Mayo Clinic announced that health plans and employers participating in Optum’s leading Centers of Excellence (COE) program now have access to high-quality, cost-effective care from Mayo Clinic care providers who are experts in treating complex and rare conditions. More information can be found on Mayo Clinic News Network. USA Today — 'Cool' workouts could be the next hot fitness trend by Karen Weintraub…Activating brown fat is probably not the answer to the nation’s obesity epidemic, says Michael Jensen, a professor of medicine at the Mayo Clinic in Rochester, Minnesota, where people know something about the cold. The body’s temperature naturally rises with exercise. Turning on brown fat requires a drop in body temperature; so, Jensen says, it may not be physically possible to exercise and activate brown fat simultaneously. Plus, people might eat more to compensate for the extra calories burned. NY Times — Third Person Dies of Legionnaires’ Disease in the Bronx by Liam Stack — A third person died of Legionnaire’s disease in the Bronx on Friday, health officials said, part of an outbreak of the airborne illness that has emerged during the hottest weeks of the year as many seek relief with air-conditioning systems that help spread the bacteria… The Mayo Clinic describes Legionnaire’s disease as “a severe form of pneumonia.” It is spread through cooling systems and poses a particular threat in warm weather. Los Angeles Times — Statistic on safety of medical scopes 'inaccurate, outdated,' researchers say by Melody Pederson…The group who looked into the risk estimate in the 2013 report included Cori Ofstead, an epidemiologist and consultant who works on infection control issues for medical providers and manufacturers, as well as Pritish Tosh, a physician at the Mayo Clinic. They wrote that they began doubting the statistic's accuracy after reading audits that revealed widespread problems in disinfecting endoscopes at hospitals and clinics across the country. Huffington Post — Better Health, By Design by Ravi Sarpatwari — The Mayo Clinic's Center for Innovation (CFI) represents one institution's attempt to officially bridge medicine and design by employing an in-house interdisciplinary team that uses design thinking to solve health problems. One outcome of CFI's efforts is the Jack and Jill Consult Room, developed after the team realized that the majority of patient-doctor interactions revolve around conversation rather than the physical exam. NPR — Toxic Lead Contaminates Some Traditional Ayurvedic Medicines by Angus Chen…The New York health department issued an alert last week warning New Yorkers to stay away from some 20 Ayurvedic compounds after lab testing revealed dangerous levels of heavy metals there. Lead and mercury damage the nervous system and can cause permanent brain damage and death. Arsenic can cause cancer and death in high doses… "It was only several months later that his wife alerted his providers that he was taking Ayurvedic medication, and that there was a possibility lead was being ingested," says Dr. Laura Breeher, an occupational medicine physician at the Mayo Clinic in Rochester, Minn., who was part of the team that treated the man in 2011. NPR — Source of the Week: Purna Kashyap — Purna C. Kashyap, MBBS, is assistant professor of medicine and physiology at the Mayo Clinic. He studies the complex interactions between gut bacteria and dietary carbohydrates and their influence on host physiological function, such as gastrointestinal motility. His current research focuses on how gut bacteria influence gastrointestinal physiology by affecting gastrointestinal motility, secretion and sensation. CNN — Fashion-able: Innovators tackle clothing challenges for people with disabilities by Lauriel Cleveland… Her husband, Don, has lived with Parkinson's disease for over 10 years and lacks dexterity in his fingers to get dressed by himself. To revive his independence, Maura created MagnaReady, a company that sells dress shirts that are magnetically infused and snap together, making the shirt look buttoned. Parkinson's disease is a progressive nervous system disorder that primarily affects a patient's movement, according to the Mayo Clinic. CBS Sports — LISTEN: Lou Gehrig's 1939 radio interview — Here's a fine way to spend seven or so minutes. via the wonderful SABR comes this Aug. 22, 1939 interview with Lou Gehrig on KROC 1340 AM in Rochester, Minn. Gehrig at the time was in Minnesota for an extended stay at the Mayo Clinic, where doctors were trying to figure out why his health was failing. He'd played his last game on April 30 of that year, and on July 4 he'd delivered his iconic "Luckiest Man" speech. Yahoo! Health — Taking a Closer Look at 7 ‘Natural’ Cures for Erectile Dysfunction by Melissa Bykofsky…Type “natural ED cures” into your favorite search engine and you’ll pull up a bevy of herbs and natural remedies that supposedly help. But are they safe, and do they actually work? “While the use of natural agents for erectile dysfunction goes back to ancient times, current scientific evidence is lacking for all of these treatments,” Jason J. Jameson, MD, a urologist with the Mayo Clinic Men’s Health Program in Arizona, tells Yahoo Health. HealthDay — In Rare Cases, Infection May Be at Root of Back Pain — People with back pain that doesn't improve with treatment could have a rare type of spine infection, new guidelines suggest. The infection -- called vertebral osteomyelitis -- could lead to paralysis or death if it's not diagnosed and treated correctly. The condition is often overlooked because it causes back pain, a common problem typically caused by a pulled muscle or back injury, according to the guidelines published July 30 in the journal Clinical Infectious Diseases. "Back pain is so common -- and usually not caused by infection -- that diagnosis often is missed or delayed," guidelines lead author Dr. Elie Berbari, associate chair of education, division of infectious disease, Mayo Clinic College of Medicine in Rochester, Minn., said in a news release from the Infectious Diseases Society of America. Grand Forks Herald — Minnesota State Rep. Dave Dill hospitalized by John Myers — State Rep. Dave Dill has been hospitalized at the Mayo Clinic in Rochester since mid-July for a serious medical condition. State lawmakers and other officials have confirmed Dill’s illness, as did an employee at the family’s Ontario fishing camp, but his family has not returned calls to elaborate on his condition. State officials said it wouldn’t be appropriate to comment without the family’s permission. TwinCities.com-Pioneer Press, — Business briefing: Building activity muted in July... Mayo Clinic announced Wednesday that Singapore-based Raffles Medical Group has become the first health care organization in Asia to join the Mayo Clinic Care Network. Mayo is based in Rochester, Minn.
Albert Lea Tribune — Albert Lea Community Theatre announces its 2015–2016 season — Albert Lea Community Theatre will open its 51st season with “Calendar Girls,” written by Tim Firth, from Oct. 8 to Oct. 17…This play is based on an inspiring true story from England and adapted from the Golden Globe-nominated motion picture. Some of the proceeds from this play will be donated to the Cancer Center at Mayo Clinic Health System in Albert Lea. Johns Hopkins Nursing Magazine — Trailblazing Trend by Sue De Pasquale — Increasingly, fellow researchers and funders endorse or even insist on nurses’ presence from discovery to implementation…While today’s nurses may be more and more in demand—as both collaborators and principal investigators—on scientific research teams, historically their importance to the team hasn’t been so readily recognized, says Christopher Chute, MD, MPH, DrPh, a newly appointed Bloomberg Distinguished Professor. He joined Johns Hopkins last winter as chief health research information officer of Johns Hopkins Medicine after a 27-year career at the Mayo Clinic. La Crosse Tribune — 50 breastfeeding moms to join Big Global Latch On to advance cause by Mike Tighe — More than 50 Coulee Region women will help try to break the world breastfeeding record when they participate in the Global Big Latch On at 10:30 a.m. Saturday at Myrick Park in La Crosse…“Some moms have to pump in their cars or the restrooms, which is nasty,” said Welvaert, a nurse and lactation consultant at Mayo Clinic Health System-Franciscan Healthcare in La Crosse. Renal and Urology News — Should the U.S. Government Cap the Cost of Cancer Drugs? by Jody Charnow — In a recently published commentary in Mayo Clinic Proceedings, 118 of the nation's leading cancer experts called for initiatives to lower the price of cancer drugs. Lead author Ayalew Tefferi, MD, a hematologist at Mayo, and his co-authors pointed out that in the U.S., the average price of new cancer drugs increased 5- to 10-fold over 15 years. Medical Daily — Get Up And Move: Standing And Walking Throughout The Day Promotes Heart Health, Shrinks Waistlines by Kristin Magaldi — By now, we’ve all heard the plethora of health risks attached to a sedentary lifestyle, but a new study is discovering the health benefits of a plausible alternative: integrating standing, and walking more into your day…According to Professor Fransisco Lopez-Jimenez of the Mayo Clinic and Mayo College of Medicine, this study provides crucial information to help us avoid sedentary patterns that the modern world has fallen into. Le Sueur News-Herald — Mayo Clinic Health System in Le Sueur recognized for improving care and patient outcomes by Debbie Zimmerman — The Minnesota Health Action Group (The Action Group) announced that Mayo Clinic Health System in Le Sueur is among 437 Minnesota and border state clinics that were recently recognized for delivering optimal care and achieving optimal care measures as part of the 2015 Minnesota Bridges to Excellence program and the Minnesota Quality Incentive Payment System, a State of Minnesota pay-for-performance program that is administered by The Action Group. KAAL — Biggest Gift for Gift of Life by Hannah Tran — For decades, a non-profit organization in Rochester has given Mayo Clinic transplant patients a home away from home. Now, the Gift of Life Transplant House just received a leadership gift, one that officials say is the most generous donation they've ever known. However, they did not reveal the amount. Milwaukee Journal Sentinel — Government contract for electronic health records goes to Epic competitor by Guy Boulton — Epic Systems Corp. and IBM Corp. on Wednesday lost their combined bid for a contract initially worth $4.3 billion from the Department of Defense for a new system for electronic health records.…Mayo Clinic, Johns Hopkins and Duke University Health System are among the health systems that have moved to, or announced plans to move to, Epic in recent years. Waterloo Cedar Falls Courier — How to find support, treatment while suffering traumatic grief — A traumatic event often causes deep-rooted, profound feelings. Depending on the nature of the event, those feelings may be fear, confusion, grief or a combination of emotions. "Feelings of traumatic grief are complex and encompass many challenges and reactions — both emotional and physical. In order to effectively support someone who is grieving, you must first understand grief’s nuances," says Jessie Wolf, licensed independent clinical social worker at Mayo Clinic Health System. Post Bulletin — Man gets stay of adjudication in animal cruelty case by Kay Fate — The Mayo Clinic employee accused of killing his two pets and intending to burn the bodies at a Mayo Clinic incinerator has received a stay of adjudication in the case. Daniel Joseph Carlson, 62, of Grand Meadow, was charged Sept. 10 in Mower County District Court with two felony counts of mistreat animals-torture, based on an incident that allegedly occurred on Aug. 21. The San Luis Obispo Tribune — How to overcome the top 5 fitness barriers — Sticking to a regular exercise schedule isn't easy. After all, there are plenty of potential hindrances - time, boredom, injuries, self-confidence. But these issues don't need to stand in your way. Darcy Reber, nurse practitioner at Mayo Clinic Health System in Cannon Falls, shares practical strategies for overcoming common barriers to fitness. "I don't have enough time to exercise." Pioneer Press — Mai Vang, St. Paul's East Side Good Samaritan, helped by neighbors, strangers to regain hearing by Ben Bartenstein — In the months after she went deaf, Mai Vang, 35, found solace picking up trash from streets and organizing fundraisers to support her neighbors on St. Paul's East Side…Mai Vang said she hopes her insurance will cover some expenses, although Dr. Matthew Carlson, her physician at the Mayo Clinic, said there's a reasonable chance her request will get denied. There are about 20 cases of sudden hearing loss per 100,000 people each year, according to Carlson, but Mai Vang's case of fluctuations in both ears is "exceptionally rare," he said. "A cochlear implant would significantly change her life." Post-Bulletin — Mayo Clinic Phoenix to get proton therapy facility — Next March, Mayo Clinic's Phoenix campus will have a proton therapy facility that mirrors the one at Mayo's Rochester site, expanding the burgeoning cancer treatment to the desert southwest and filling a geographical gap…But, come March, local and regional patients will have a closer option, based in a hospital that will customize cancer care to serve its patients. "There's really no form of radiation we will not be able to offer once we go live with this (proton beam treatment center)," said Dr. Sameer Keole, the leader of Phoenix's proton center. "You're not a nail, we're not a hammer. Whatever is best for the patient, we can provide it under this roof." Post-Bulletin — Medical school expands, updates curriculum by Paul Scott — Rochester-based Mayo Medical School has launched a national, multi-site medical school with one unified academic system, a format allowing students to move from campus to campus and take advantage of each location as their training requires…During the second half of the morning, Dr. Stephanie Starr, co-director of curriculum for the course of study at Mayo stood before a white board filled with concepts drawn from students' stories about their families' mixups with the health care system. MedPage Today — CV Risk in RA: Is a New Measurement Tool the Answer? by Nancy Walsch — A new expanded cardiovascular (CV) risk calculator for use in patients with rheumatoid arthritis (RA) has been developed to take into account disease-specific factors that can worsen risk, researchers reported…"This is an important contribution to the assessment of cardiovascular disease in these patients," said Eric Matteson, MD, chair of rheumatology at the Mayo Clinic in Rochester, Minn., who was not involved in the project. Cancer Letter — Pharma Industry Critics — Many people are studying the rising prices of cancer drugs. A growing group of oncologists want to do something different: they want to give them a downward push. Last week, a group of 118 oncologists signed an editorial published in the Mayo Clinic Proceedings in which they laid out seven specific actions that they argue would moderate drug prices. Minnesota Farm Guide — Trauma workshops and impaired/distracted driving demos at Farmfest by Andrea Johnson — Two important trauma advisory groups are increasing their presence at Farmfest 2015…Last year, the group presented information once a day on using a tourniquet to control bleeding…This year, the group is presenting the information four times a day, plus they are offering a variety of activities to show the dangers of driving while impaired, texting or sleepy. “We’ll still be talking about the use of tourniquets and the importance of having tourniquets available to control bleeding,” said Maria Flor, registered nurse and trauma coordinator at Mayo Clinic Health System in Springfield and St. James. WTSP Tampa Bay — Mayo's first bone marrow transplant recipient reunites (KARE11) — A Minnesota woman, who was the first bone marrow transplant recipient at Mayo Clinic in 1963, returned to Rochester more than five decades after her procedure to visit the doctor who performed the transplant. Nancy McLain, 62, of Prior Lake, reunited Dr. Robert Kyle, 87, who is still with Mayo Clinic's Hematology and Internal Medicine department today. Post-Bulletin — Proposed NIH funding increases could mean more money for Mayo Clinic by Rachel Cohrs — It's still early in the process, but signs are pointing to a federal funding increase for the National Institutes of Health, and the availability of more NIH grant money could be good news for Mayo Clinic…"This is a major change of an unfortunate direction that this funding has been taking in the past few years," Mayo Clinic researcher and Research Finance Committee chairman Stephen Riederer, Ph.D., said. CNBC — Cellphones cause cancer? by Javier David... Researcher Igor Yakymenko told The New York Daily News that his data "are a clear sign of the real risks this kind of radiation poses for human health." His study, which surveyed previous results on the subject, showed a link between radiofrequency and DNA damage. Yakmenko's findings, however, are far from the last word. The Mayo Clinic points out that "the possible connection between cellphones and cancer is controversial. Seattle Times — Mayo Clinic News Network: How to support someone suffering from traumatic grief — A traumatic event often causes deep-rooted, profound feelings. Depending on the nature of the event, those feelings may be fear, confusion, grief or a combination of emotions. “Feelings of traumatic grief are complex and encompass many challenges and reactions — both emotional and physical. In order to effectively support someone who is grieving, you must first understand grief’s nuances,” says Jessie Wolf, licensed independent clinical social worker at Mayo Clinic Health System. Star Tribune — Online 'symptom checkers' fail their checkup by Ariana Cha (Washington Post)… In an audit believed to be the first of its kind, Harvard Medical School tested 23 online “symptom checkers” — run by brand names such as the Mayo Clinic, the American Academy of Pediatrics and WebMD, as well as lesser-knowns such as Symptomate — and found that, although the programs varied widely in accuracy of diagnoses and triage advice, as a whole they were astonishingly inaccurate. La Crosse Tribune — Mayo-Franciscan leases chamber space for special project — Mayo Clinic Health System-Franciscan Healthcare has signed a three-year lease for a portion on the second floor of the La Crosse Area Chamber of Commerce headquarters. Mayo-Franciscan staff members will use the space to work on a project to create a single, converged electronic health record for the Mayo system, said Mayo-Franciscan spokesman Rick Thiesse. Times Herald-Record Fla. — Protect your heart in the summer heat by Carolyn Torella — Whatever brings you outside this summer — a bike ride with friends, a jog in the park or just a stroll around the block — it’s important to stay safe when the temperature rises. And if you’re a heart patient, older than 50 or overweight, you might need to take special precautions in the heat, according to Gerald Fletcher, M.D., professor of medicine at the Mayo Clinic, in Jacksonville, Florida. Post-Bulletin — Mayo doctor turns research into Somali community outreach by Rachel Cohrs — A soccer championship halftime show isn't the most likely place to see a presentation on hepatitis awareness from a Mayo Clinic researcher, but one doctor's team is doing what it takes to get the message out to the local Somali community. Dr. Lewis Roberts' research shows that Somalis are much more likely to have certain types of hepatitis, which can lead to liver cancer. He wants them to get checked out before it's too late. Idaho Statesman — Study uncovers key differences among ALS patients — Researchers on Mayo Clinic's Florida campus have identified key differences between patients with sporadic amyotrophic lateral sclerosis (ALS or Lou Gehrig's disease) and those with the most common genetic form of ALS, a mutation in the C9orf72 gene…"Our results using advanced, modern laboratory techniques called next-generation sequencing, allowed us to acquire a library of new knowledge about patients with ALS," says the study's senior author, Leonard Petrucelli, chair of the Department of Neuroscience at Mayo Clinic's Florida campus. Watertown Daily Times — Researchers test bioartificial liver device to treat acute liver failure…Researchers at Mayo Clinic in Rochester, Minn., have developed and are testing an alternative to liver transplantation called the Spheroid Reservoir Bioartificial Liver that can support healing and regeneration of the injured liver, and improve outcomes and reduce mortality rates for patients with acute liver failure — without requiring a transplant. Developed by Dr. Scott L. Nyberg, principal investigator in the Artificial Liver and Liver Transplantation Laboratory at Mayo Clinic, and liver transplant surgeon, the device uses healthy hepatocytes, or liver cells, from pigs to do the job of a normal, healthy liver, which aids in digestion and the removal of waste and toxins from the bloodstream. Duluth News Tribune — From patient to nurse: Hermantown woman’s battle with cancer led her to career in oncology… She had been diagnosed June 19, 2007, and received a stem cell transplant at the Mayo Clinic that December. Cancer-free since then, the brown-haired, brown-eyed mother of two is now assistant head nurse in the Oncology Department at Essentia Health-St. Mary’s Medical Center.…When her doctor at Mayo learned she planned to start nursing school eight months later, he advised against it, Rowan said. Extreme precautions are required for a year following a transplant to avoid infection, she explained. WIFR Ill. — New Concussion Tests to Help School Athletes…After a year of strict testing, the Mayo Clinic is introducing a new sideline concussion test called King-Devick. It can be completed in just minutes using a pattern of numbers that becomes impossible to follow when the brain suffers a trauma. Doctors say this is important because a person does not have to lose consciousness to sustain a concussion. Winnipeg Free Press — Dog-bite injury study something to chew on — Prior studies have shown that most dog-bite injuries result from family dogs. A recent study conducted by Mayo Clinic and Phoenix Children's Hospital shed some further light on the nature of these injuries…. "More than 60 per cent of the injuries we studied required an operation," said lead author Dr. Erin Garvey, a surgical resident at Mayo Clinic. "While the majority of patients were able to go home the next day, the psychological effects of being bitten by a dog also need to be taken into account." KEYC Mankato — Health Officials Speak Out Following Unconfirmed Reports Of Meningitis In Mankato — Following reports from our viewers of multiple meningitis cases in the Mankato area, health officials speak out. Just the word meningitis takes many back, with fear, to the year of 1995…Physician Assistant at Mayo Clinic Health System in the infectious disease department Jessica Sheehy said, "Basically what the infection is is an infection of the meningeal tissue, which is the tissue that surrounds our brain and spinal cord." KQED — Millions of Americans Use Medical Devices That May Be Vulnerable to Hacking…Medtronic, the nation’s largest medical device manufacturer, has not reported any incidents so far. The company declined to be interviewed for our story. They sent KQED a statement saying their goal is to manufacture products that are as safe and secure as possible. But Mayo Clinic cyber security expert Kevin McDonald says, while they haven’t been catastrophic, some incidents have already occurred. Post-Bulletin — Southeastern Minnesota site among Chinese hacking victims by Josh Moniz — An unspecified southeastern Minnesota location was among the more than 600 corporate, private or government "Victims of Chinese Cyber Espionage" over the last five years, according to a secret NSA map obtained by NBC News.…Winona is home to several colleges and the headquarters of several corporations, including medical device companies. If the dot doesn't represent a precise geographic location, southeastern Minnesota has several high value targets ranging from Mayo Clinic to biotech firms. News4Jax — Local doctors say summertime is play time and it's affecting what they're treating — Doctors are treating more sexual transmitted diseases and also make sure you're drinking plenty of water it can lead to dehydration and also bladder infections…Urinary Tract Infections are caused by bacteria and if you're flushing your body out frequently you're less likely to have problems. I talked with Dr. Vandana Bhide with Mayo Clinic about how to avoid a bladder infection. Eau Claire Leader-Telegram, Paddling for a cause: Half Moon Dragon Boat Festival benefits Mayo hospice care by Jennifer Schmidt— The late Dr. Jim O’Connor was a visionary surgeon who helped shape the orthopedics unit at Mayo Clinic Health System in Eau Claire into the successful, subspecialized operation it is today…After fighting multiple myeloma for several years, Jim O’Connor died from the plasma cell cancer in July 2011. He was 61. In his memory, colleagues and family members have formed a team to paddle in Mayo Clinic Health System’s inaugural Half Moon Dragon Boat Festival on Saturday in Eau Claire. St. Peter Herald — Mayo Clinic Health System in St. Peter introduces medication therapy management by Suzy Rook — Mayo Clinic Health System in St. Peter now offers medication therapy management (MTM) services to patients who want to better understand their medications. MTM appointments are available on Mondays and are open to anyone interested. MTM is effective for controlling multiple chronic conditions, managing numerous medications and helping patients who have a history of multiple hospitalizations. “MTM consultations save patients money and decrease their hospital visits by addressing medications and the side effects,” says Audrey Umbreit, Mayo Clinic Health System clinical pharmacist. Mankato Free Press — Mayo recognized for heart-attack care by Nate Gotlieb — Mayo Clinic Health System in Mankato was recognized recently for meeting performance standards for heart-attack care… Restoring the blood flow is critical in ensuring a patients' recovery, hence the phrase “time is muscle.” The standard time measure of a STEMI patients' care is the “door-to-balloon” time, or how long it takes from when the patient enters the emergency room to unblock the artery using surgical balloons. “If we can get that blood flow restored as quickly as possible, that's less damage to the heart muscle,” said Dr. John Haley, a cardiologist. RedEye Chicago — Vaping is all the rage - even eclipsing cigarettes in some places - but is it addictive?... "It would be impossible to assume they're safe, given that the industry is completely unregulated and given that people are inhaling different chemicals deep into their lungs," said Dr. Taylor Hays, director of the Mayo Clinic's Nicotine Dependence Center, in an interview with NBC News last year. Grand Forks Herald — UND WOMEN’S HOCKEY: Injuries force Jensen to call it quits by Brad Schlossman — Leah Jensen had started class at her dream school. She was just weeks away from becoming a University of North Dakota women’s hockey player and the team’s head coach was already raving about her abilities… After the fourth game, Jensen needed to rest. She also got a couple of opinions from doctors. Mayo Clinic doctors told her that the spinal fusion had failed. The bone didn’t re-grow between her vertebrae. USA TODAY — What is Legionnaires' disease? by Liz Szabo…Most people exposed to legionella don't become sick. Smokers, the elderly and those with weakened immune systems are more susceptible than others to Legionnaires' disease, according to the Mayo Clinic. Symptoms include fever, chillls, headaches and muscle pain, which can progress to coughing, chest pain, nausea, vomiting and difficulty breathing. Yahoo! Health — 6 Amazing Ways Your Body Changes When You Give Up Carbs…Eat This! Tip: The lowest safe amount of carbohydrates is about 50 grams daily, according to Mayo Clinic; avoid dipping below that amount if you want to avoid major dips in energy. One cup of oatmeal and a half a banana is all it takes to reach that total. KPNX Phoenix — Simple Tips to Avoid Heat-Related Illness, With the warm weather doctors at Mayo Clinic estimate a simple reminder on how to avoid the heat related illnesses. Wear lightweight clothing and stay hydrated and avoid alcohol. If you start to feel dizzy and tired and get a headache or cramps or have sweating, you may be having heat exhaustion. KARE11 — Hospital investment to treat Ebola helping in other ways by Renee Tessman — You might not think much about Ebola anymore, but area hospitals are…Then last October, Unity Hospital opened its new biocontainment unit to treat possible Ebola patients here..…Unity is one of four Minnesota hospitals designated to treat Ebola patients. The others are the Mayo Clinic, Children's Hospitals and Clinics and the University of Minnesota. San Angelo Standard-Times — Mayo Clinic News Network: Researchers on the trail of better brain tumor diagnosis, treatment — The molecular makeup of brain tumors can be used to sort patients with gliomas into five categories, each with different clinical features and outcomes, researchers at Mayo Clinic and the University of California San Francisco have shown…"Our findings are going to weigh heavily on the future classification of brain tumors. The time of classifying these tumors solely according to histology as astrocytoma, oligodendroglioma or mixed oligoastrocytoma could be a thing of the past," says lead study author Dr. Daniel H. Lachance, a neuro oncologist at Mayo Clinic. ABC15 Arizona — Join the Be The Match registry: Become a marrow donor and help save a life…On the days leading up to the donation, Haneen received injections of a medication to boost her blood cell count. On Oct. 1, 2013, she went to the nearby Mayo Clinic hospital, where she underwent a non-surgical procedure to remove peripheral blood stem cells (PBSC) circulating in her body. Aspen Daily News — Valley Health Alliance fights to ‘disrupt the status quo’ in care by Collin Szewczyk — The Valley Health Alliance brought its unique approach to offering health care before the Pitkin County commissioners on Tuesday, and discussed methods to help clients live better lives, establish relationships with local doctors and take responsibility for their own health...Sarpa said in order to manage the overall health of the community, strong data is needed… In order to collect that data, Sarpa said VHA has been working with the Mayo Clinic and the Western Health Alliance to gauge what issues are more prevalent locally. Latinos Health — Stretch Marks After Weight Loss: Facts vs Myths — Faint streaks of pink, red, purple, or white on the skin found in the buttocks, breasts, upper arms, and abdomen are commonly called stretch marks. These are often caused by pregnancy, weight gain, medication use, and adrenal gland diseases, according to the Mayo Clinic. ABC News — Lost Wedding Ring Returned 25 Years After Being Found in Minnesota Hospital's Sewer — It took more than 25 years, but a missing wedding ring has finally been found. Linda Matti said the ring slipped off her husband's finger while he was a patient at Mayo Clinic Methodist Hospital in Rochester, Minnesota, according to ABC affiliate KAAL-TV. Though she looked everywhere for it, they never found it. Not long after the ring disappeared, plumber Dale Grobe found it when he unplugged the hospital's sewer main. It sat in the lost and found for six months but was never claimed, said Grobe. FOX News — Keselowski reveals how surgery saved infant daughter's life…After contacting more doctors, the couple decided to take their daughter to the world-renowned Mayo Clinic in Rochester, Minn., where doctors diagnosed Scarlett with laryngomalacia, a weakness in the muscles of the throat that's fairly common in infants. Although Scarlett's case was atypically severe, the doctors believed they could save her life through emergency surgery, which they performed the day after her diagnosis. It just so happened that Scarlett's visit to the Mayo Clinic coincided with a rare off-week for the Sprint Cup Series. On Father's Day, when the Sprint Cup Series was idle, Keselowski and Paige were able to take Scarlett home. She has since made a full recovery…. I thought about how lucky we were for the doctors at the Mayo Clinic, and that we had gotten there in time for the surgery. The whole thing was an incredible emotional roller coaster." Southern Minnesota News — A.D. in the Summer by Ahren Backman — Although Seasonal Affective Disorder or SAD is usually thought of as a winter condition, a small percentage of the population experiences this disorder in the summer as well. Mayo Clinic Behavioral Health Expert, Meg Stump said the summer variation is often caused by too much sunlight. HealthDay — Hysterectomy at Younger Age Tied to Heart Disease Risks…"Cardiovascular disease is the leading cause of death among women, and women see primarily gynecologists between 18 years and 64 years -- a time when early screening for cardiovascular disease would be important," lead author Dr. Shannon Laughlin-Tommaso, an obstetrician-gynecologist, said in Mayo news release. KTTC — Telemedicine: Healthcare of the future? by Alanna Martella — A pilot program between Mayo Clinic and Austin Public Schools is testing the waters of the medical innovation for Southeast Minnesota, if all goes well, the program will no longer be a pilot but official on January 1. "We have this one here, we have one in Ellis, and one in our clinic,” said Dr. Mark Ciota, an orthopedic surgeon at Mayo Clinic. Post-Bulletin — Video: Time capsule reveals treasure trove of historic documents by Josh Moniz…The content of the time capsule found April 8 under the Mayo Brothers statue at Mayo Civic Center might not have much monetary value. But the Mayo Clinic books, records, photographs and news clippings found inside it were heralded as a treasure trove for local historians. The Mayo brothers statue was moved due to ongoing civic center construction. The future location of the statue hasn't yet been determined. Nurse Kimberly (Blog) — Workplace Initiatives That Promote Diversity and Inclusion…The Mayo Clinic in Rochester, Minnesota, for instance, launched the Multicultural Nurses Mayo Employee Resource Group (MNMERG) in July 2014 to recruit and retain nurses from diverse cultures and offer them professional support and networking opportunities…“These range from culturally competent care to inclusion and addressing health disparities,” says Sharonne N. Hayes, MD, FACC, FAHA, director of diversity and inclusion and professor of medicine at the Women’s Heart Clinic at Mayo. She notes that the groups share innovations and hold cross activities. Jacksonville Daily Herald — Mayo Clinic adding new lung center by Karen Brune Mathis — Mayo Clinic in Jacksonville and United Therapeutics Corp. are a few steps closer to developing their proposed lung-restoration center in Jacksonville. Mayo Clinic spokesman Kevin Punsky said Tuesday the contract has been signed for the land lease agreement and ground should be broken by year-end. No contractor has been chosen. Salud Cronica, Los trasplantes de Mayo Clinic entre los mejores de EU— Mayo Clinic, con sus tres sedes, continúa siendo el principal proveedor de atención Médica en Estados Unidos para trasplantes de órgano sólido y se ubica entre los mejores del país por sus resultados sobre la supervivencia de pacientes e injertos. Según el Registro Científico de Receptores de Trasplantes (SRTR, por sus siglas en inglés), que consiste en una base de datos nacional de estadísticas sobre trasplantes, los programas de trasplante de Mayo Clinic en Arizona, Florida y Rochester (Minnesota) obtienen una puntuación estadísticamente mejor en la supervivencia de pacientes e injertos al cabo de un mes, un año y tres años desde el trasplante. La referencia a la supervivencia del injerto significa que el órgano trasplantado todavía funciona. Univision, Tips para dejar de rechinar los dientes por Gabriela Garcia — Rechinar, frotar, entrechocar o apretar los dientes es un hábito que se puede hacer en forma consciente o inconsciente, durante el día o mientras se duerme. Se conoce como bruxismo y hay algunos métodos para controlarlo y evitar daños severos en la dentadura. El bruxismo es una enfermedad que lleva a frotar, apretar, entrechocar o rechinar los dientes. La Clínica Mayo explica que muchas veces se lo hace en forma inconsciente, tanto de día como durante las horas de sueño. Zocao Saltillo, Un ángel que ha llegado al cielo por Yadira Leos — Cuando un niño cierra los ojos, un ángel llega la cielo”, dice la madre de Dieguito, repetidamente, como un rezo. La cardiomiopatía restrictiva que enfrentaba Diego Cisneros provocó que su corazón se cansara de latir, desde el pasado viernes el pequeño de 8 años “ya forma parte de los ángeles que resguardan el trono de Dios”. Una amiloidosis derivó en la enfermedad que impedía el buen funcionamiento de su corazón y que provocaba retención de líquidos y fatiga crónica, por lo que sus padres buscaron alternativas; la Clínica Mayo ubicada en Minnesota, Estados Unidos, ofreció realizarle estudios.